Antique Edwardian bracelet from 1907. Product code: 1109 Categories: Sold Items, Sold Jewellery. This wonderful Edwardian era bracelet is so unique and special and is still in fantastic condition over 100 years after that it has been made. 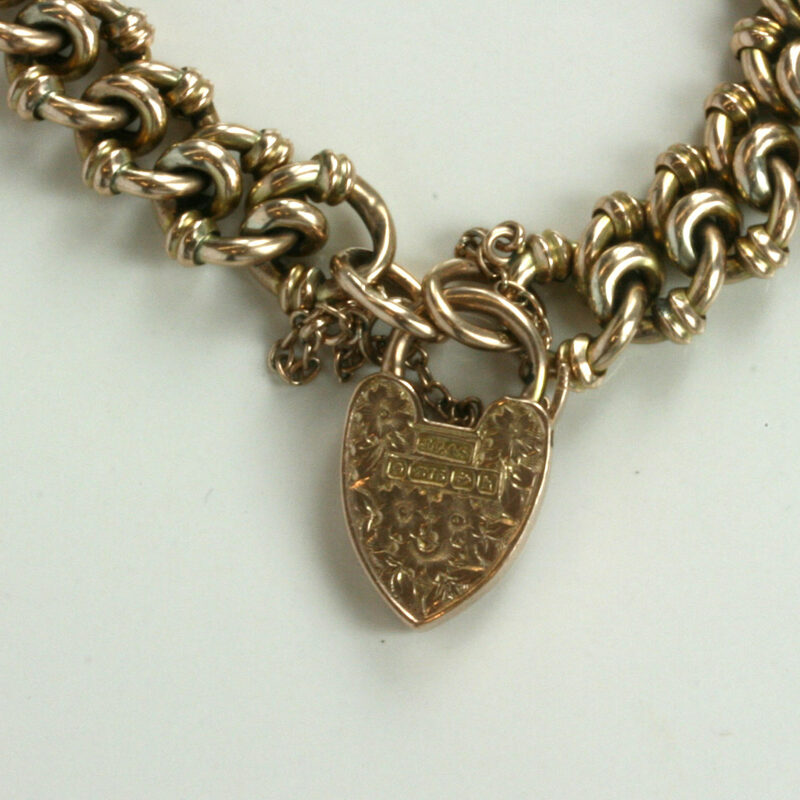 With the hallmark for being made in Birmingham 1907, the design of these links is truly wonderful. From the traditional curb links with detail on each side, the the round belcher links in the middle, each link measures 11.2mm wide. Made in 9ct rose gold, the patina that this bracelet has achieved is so beautiful, and it has that wonderful warm glow from the rose gold. 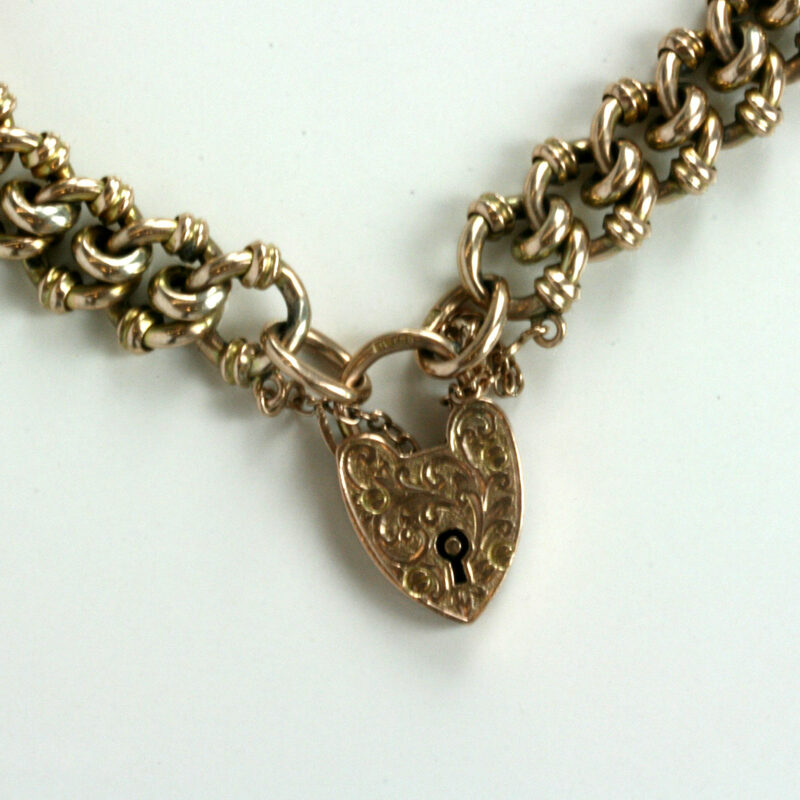 The heart shaped padlock has such a wonderful engraving on both sides and is still in fantastic condition, and this bracelet can easily be worn on a every day basis. A very stylish and unique Edwardian era antique bracelet.